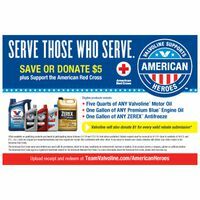 Purchase five quarts of ANY Valvoline™ Motor Oil, one gallon of ANY Premium Blue™ Engine Oil OR one gallon of ANY ZEREX™ Antifreeze and receive $5 via mail in rebate OR choose to donate your $5 rebate to the American Red Cross. 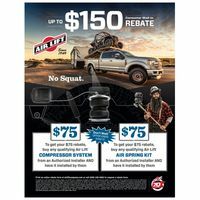 Valvoline will also donate $1 for every valid rebate submission. 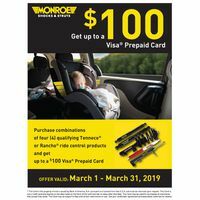 This offer begins May 1, 2019 and expires July 31, 2019. 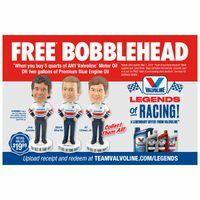 You may submit by mail or by going to TeamValvoline.com/AmericanHeroes to register and upload receipt. 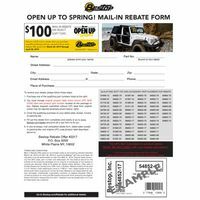 You can choose to receive your rebate or donate your rebate on the site. Limit one request per household/address, and one request per receipt. 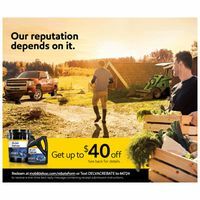 Rebate requests must be received on or before 9/1/19. 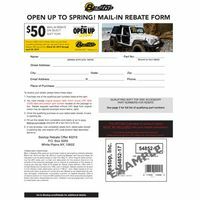 For rebate status updates, please go to www.valvolinetracker.com.